To use, simply let your 6 oz. or larger popcorn kettle heat up and pour the kit's contents into the kettle. Within minutes your kettle will be filled with buttery, fresh popcorn! Popcorn is a crowd pleaser that's easy to make and will help boost impulse sales at your venue. 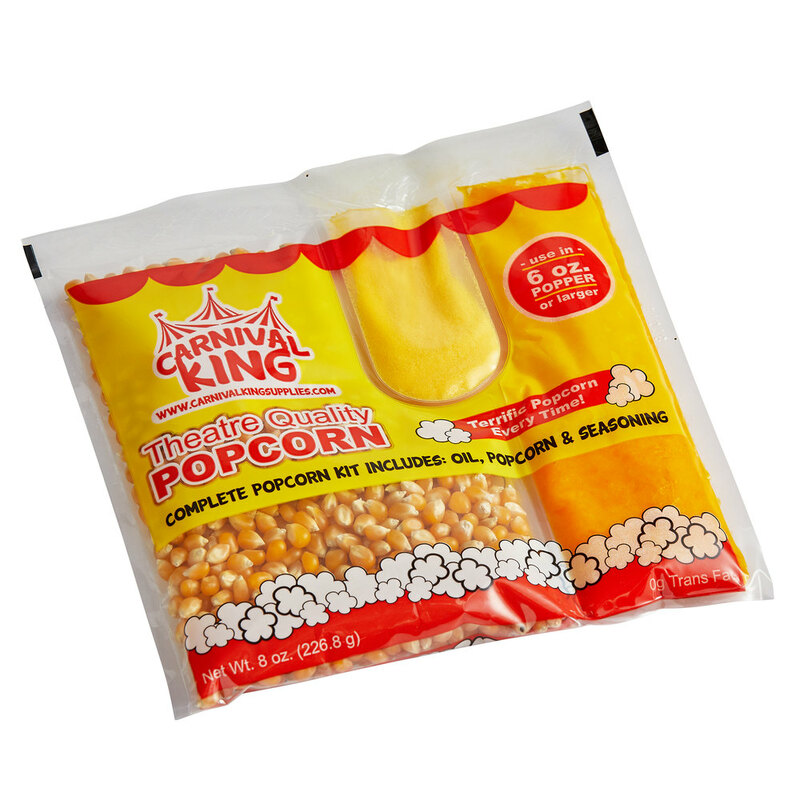 Single use popcorn kits, like this one from Carnival King, work well for small to medium volume applications; including department store concession stands, school fundraising events, office break rooms, convenience stores, church events, and single-house theaters.